Earlier this month, The Bartlett School of Architecture teamed up with Hanyang University to run a new workshop called Negotiating Seoul: the Shared City, which allowed students to explore how urban space is negotiated in creating a shared city. Students from the school’s Architecture BSc Unit 13 programme teamed up with students from the architecture department at Hanyang University to work on a collaborative project. Over the course of three days, they created a collective drawing of Seoul using references from the Mullae-dong area for inspiration. Specific observations in Mullae-dong led to conversations of how to share space, resources and energy in a city. These became the building blocks for the collaborative drawing. 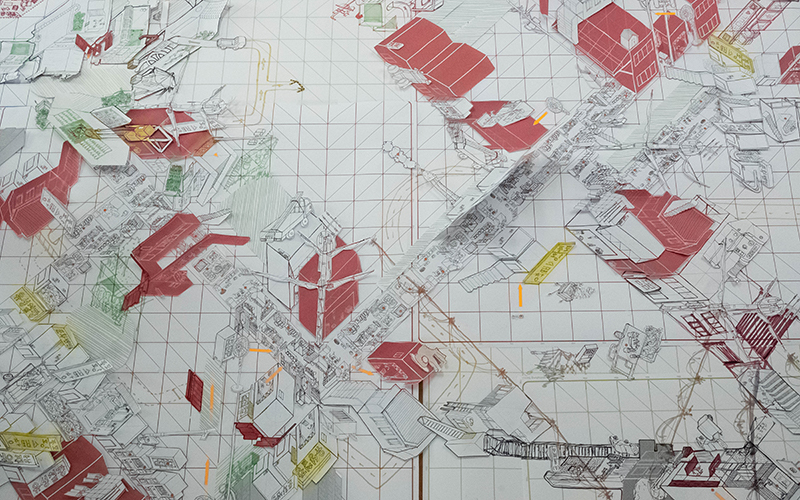 This resulted in a multi-layered and multi-directional drawing, which combined individual spaces within Seoul to create an overall Shared City drawing. The project was a success and the final artwork will be displayed in an exhibition at the Seoul Architecture Biennale, 2019. Special thanks to So Young Kim from Hanyang University for her support in this collaboration.